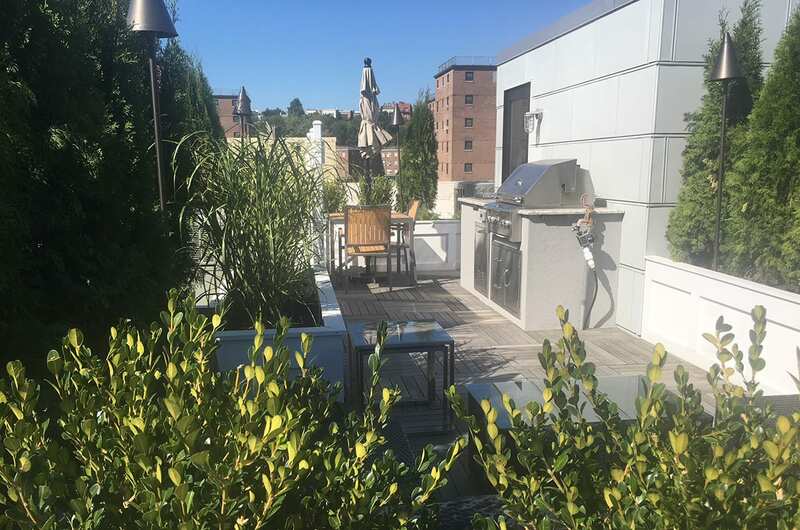 The goal of the project was to create more space on the roof top terrace, install an outdoor kitchen, and provide privacy from neighboring roof top terraces. 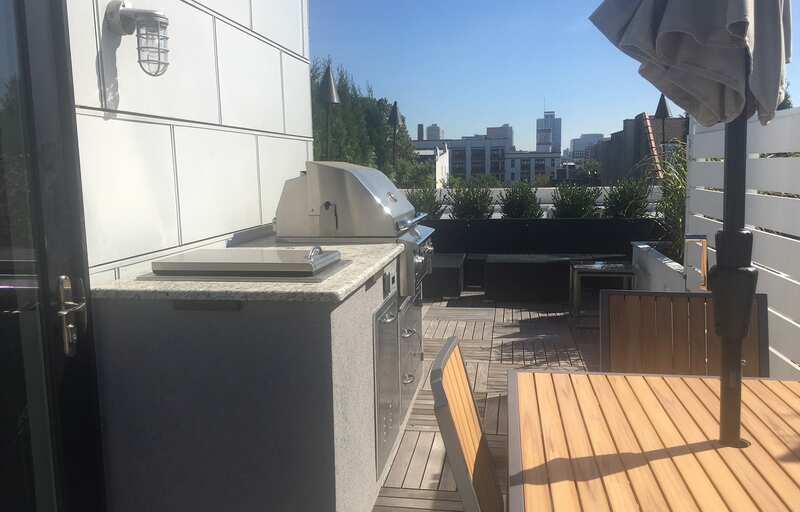 We installed a seven-foot outdoor kitchen that includes a 30” Alturi Gas Grill, a trash drawer, and a small ice chest. Flooring was installed using 2’ x 2’ IPE tiles. 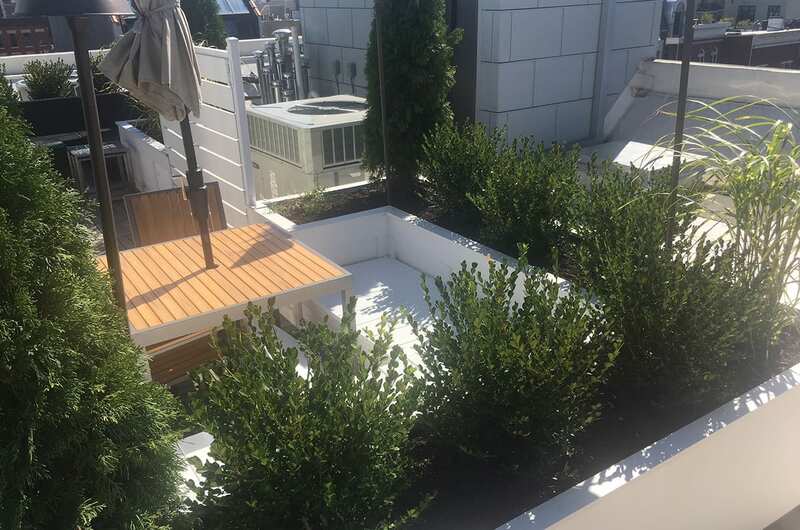 To create more space on the terrace we removed a lower planter area and converted it into a built-in bench. This is now the dining nook. The outdoor kitchen is now located where the dining table used to sit. To create privacy, we blocked unwanted views and kept some desired views open. 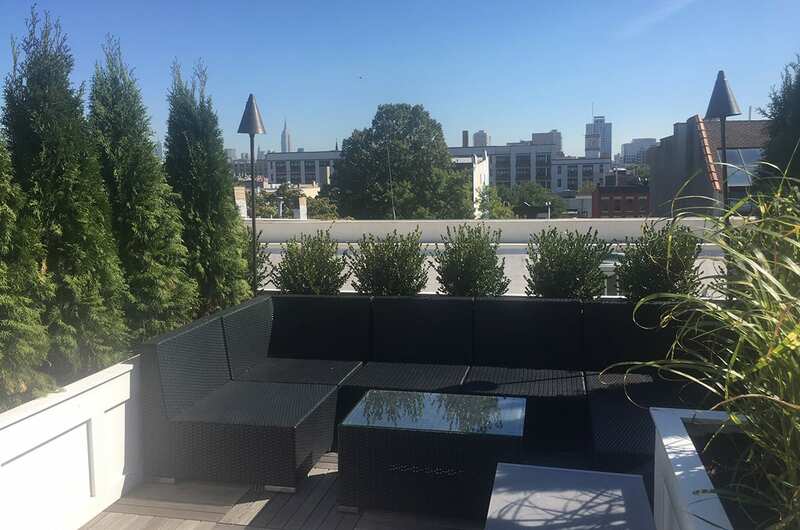 Because the terrace has spectacular views of New York City, we framed them using larger plantings for privacy on the side and low plantings to allow the view of the New York skyline. Plantings were added around the dining nook, introducing some color. Outdoor Kitchen: 20 Gauge Galvanized Metal Frame and concrete board finish in a California Stucco. 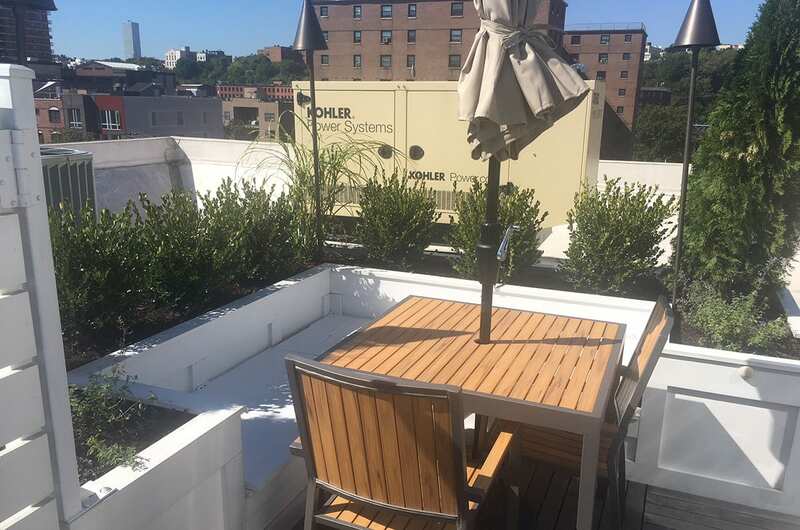 Built-in Bench: Pressure Treated wood painted to match existing built-in planters.